Larry DeHays, a Vietnam veteran offers free car repair service to any active duty serviceperson or their immediate family members (spouse, children) with the following provisions. The member is stationed in Iraq or Afghanistan. The service member agrees to pay for necessary parts through DeHays Automotive (with a 10 percent discount). All labor is supplied at no charge. We will perform a complimentary thank you pest treatment for the inside of the home you are staying at while you are here. We offer a free appraisal on the purchase of a new home or refinance of your current home located anywhere in the state of Florida with the closing of a loan with our company. Additional discounts may apply as well. We’re glad to step up to the plate and support our men & women in uniform when needed. They take care of our freedom. We appreciate their ongoing service, especially in these trying times. Raymond Building Supply is proud to be an active member in all of the communities we serve. 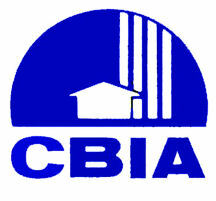 While we have always been committed to our industry through professional building industry associations. Mike’s Auto Service is an expert auto repair and service facility. Mike is pleased to offer a free oil change. Joey is happy to offer a free oil change. Based on availability. High Street Car Wash is a clean, efficient establishment in Chestertown. Jay is happy to present you with a card entitling you to 4 free car washes. ELB is pleased to offer a free oil change for a gas engine and a discount on an oil change for a diesel engine. Based on availability.